My husband and I are all sweaty and gross in this picture, but we deserve to show it off. 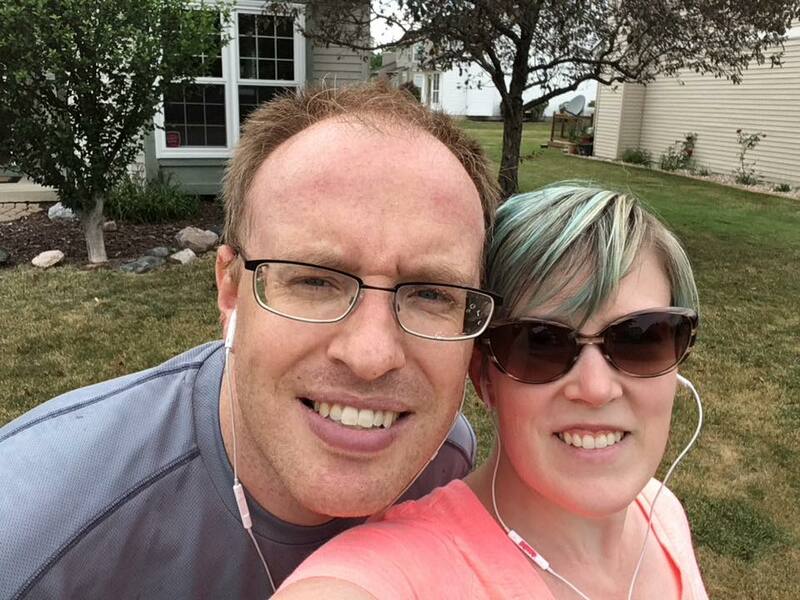 We just finished week 1 of C25K. I have never been a runner. I've always hated running. But it's my body that hated running. My mind wanted so badly to like it. 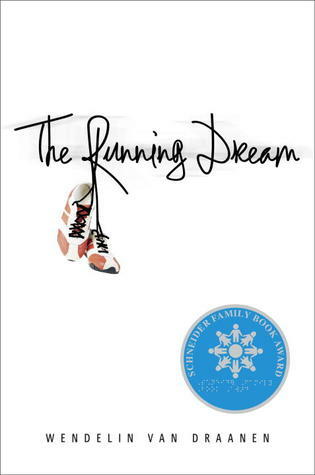 Some years ago I read the book The Running Dream by Wendelin van Draanen and at the very beginning of the story, the main character said something that I have never forgotten. She said, "Running aired out my soul." As someone who so often has a million and one thoughts, emotions, and worries running through my mind at once, the idea of having something that clears your mind has always appealed to me. My husband and I recently moved to Ann Arbor, a town not very far from where we used to live, yet it feels light years away. Our change of scenery has allowed us to live in a place where people are more active, not just physically, but in the community and in their civic life as well. This has been a huge motivation for us to stop coming home from work and just plopping down in front of the TV, not to get up from the couch again until bedtime. As we finished week 1 today, I started to feel a faint glimmer of what Jessica meant when she said, "Running aired out my soul." I'm glad my husband is there doing it and sharing it with me, but first and foremost, I have to thank Wendelin van Draanen for writing something that my mind couldn't shake even if my body resisted. Welcome to Day #3 of the On Bird Hill Blog Tour! 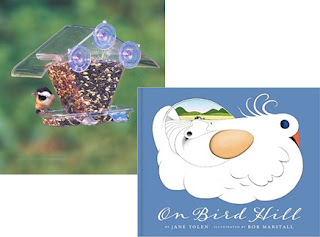 To celebrate the release of On Bird Hill by Jane Yolen and illustrated by Bob Marstall (5/10/16), blogs across the web are featuring exclusive content from Jane, Bob, and Brian Sockin (CEO and Publisher of Cornell Lab Publishing Group), plus 10 chances to win a copy of On Bird Hill and a window bird feeder! On Bird Hill, by bestselling children’s author Jane Yolen, illustrated by award-winning artist Bob Marstall, was the very first book signed to the new Cornell Lab Publishing Group. The imprint was founded during the Cornell Lab’s centennial celebration in 2015, with the goal of sharing its knowledge and passion for birds in order to inspire people everywhere to appreciate and care for birds, and their environments. More than 50 million people in the U.S. observe and care for birds each year. And it’s no wonder: birds are a portal to the natural world and conservation, readily accessible everywhere, beautiful and wondrous. When we first read On Bird Hill, it inspired us in two ways. First, On Bird Hill is a story of what’s possible to discover in everyday life, if we stop and take notice of our natural surroundings. 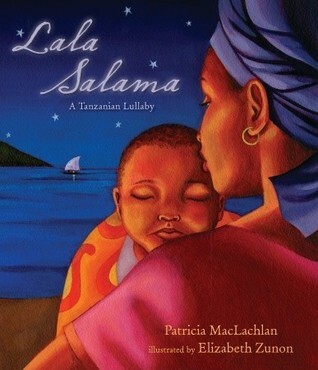 And second, the story is about the miraculous spark of new life and that new life’s own experience of discovery, conveying a subtle but deeply emotional link with the very essence of nature, even in the simplest of things we take for granted. It is for this reason that On Bird Hill is fantastical in its beautifully -constructed and stunning illustrations by Bob Marstall, called “Seussian” by several reviewers (oh yes, we took that as a big compliment!). Bob’s flowing scenes lead us through the story so effortlessly, like the simple saunter on Bird Hill itself. What’s next? Lots. On Bird Hill is the first in a planned series that takes us from this imaginary world to real ones, but using the same tone and manner of the first. On Duck Pond, which releases next Spring, will take readers to a serene and misty pond, calmly filled with creatures large and small in that habitat. Suddenly, humans happen on their path to the pond and it comes alive in a cascading cacophony of sound and frenetic movement...until they pass and all simmers back to stasis. 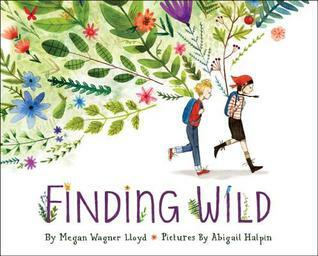 In this, and future series titles, we will bridge the world of real creatures in real habitats, but still convey the same sense of wonderment that was established with On Bird Hill. The third title, debuting Spring 2018, is On Gull Beach. Here, readers are taken to the shoreline, which abounds with land, air and sea creatures alike. Future titles will cover the other habitats such as mountains, marshlands, urban, and other landscapes, covering all the major habitats in the U.S. where birds live and thrive. So how does a children’s picture book support the mission of a science organization? Just like our live bird cams, our allaboutbirds.org website (the #1 birding website), or our YouTube videos, all of which engage tens of millions; it’s about engagement. When we create an emotional connection between a reader and a bird, something magical happens. Whether it leads to simple appreciation or a strong desire to be a conservationist, every connection matters. It is our goal with our picture books to inspire children at a young age, to help raise a new generation of bird lovers and future caretakers of our environment. 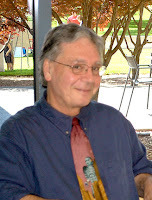 About the CEO and Publisher: Brian Scott Sockin has authored 7 books, including the children’s title C.A.R.E. Treasury of Children’s Folklore. Brian has a B.A. in Psychology from Binghamton University and M.B.A. from the Wharton School of Business. 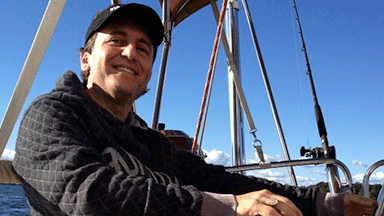 Brian is CEO and Publisher of the Cornell Lab Publishing Group, which has afforded him the rare opportunity to pair his passion for nature and writing, with his business career. Brian is a native of upstate NY and now lives in Cary, NC with his family. Stop by MamaPapaBarn tomorrow for Day #4 of the tour! June 20th – The O.W.L. 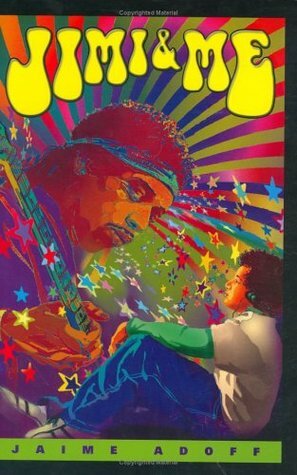 July 1st — Can You Read Me a Story? Loosely based on the old cumulative nursery rhyme/song “The Green Grass Grew All Around,” a nursery rhyme first published as a song in 1912. 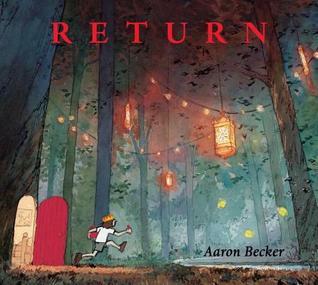 But in this version, it’s a boy and his dog who find the bird in a nest on a hill in a strange valley. Following in the footsteps of Jane’s highly acclaimed Owl Moon, winner of the prestigious Caldecott Award, On Bird Hill is a beautiful picture book with an enchanting story, fancifully illustrated by renowned artist Bob Marstall. 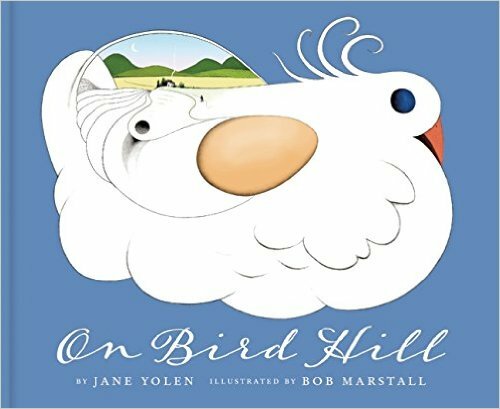 On Bird Hill is sure to attract interest from millions of readers and fans of Jane’s popular classics. About the Author: Jane Yolen has authored more than 350 books, including the Caldecott-winning Owl Moon, which every budding young ornithologist owns, You Nest Here With Me, which is a popular new favorite, and the New York Times bestselling series How Do Dinosaurs. 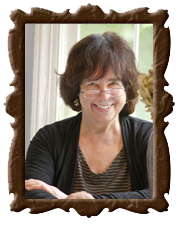 Jane Yolen’s books have been translated into over 20 languages and are popular around the world. Janes husband, David Stemple, was both a well known bird recordist and a professor of computer science and he taught the entire family how to identify birds. Many of Jane’s books are about wildlife subjects, especially the winged kind. Jane lives in Easthampton, MA. 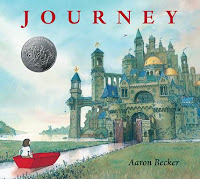 Visit her online at janeyolen.com. 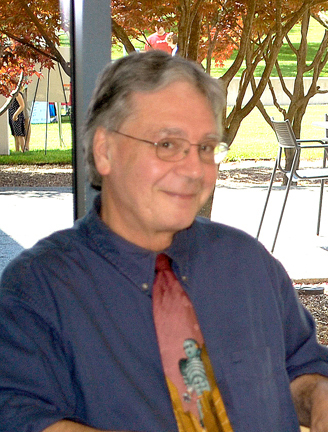 About the Illustrator: Bob Marstall is the illustrator of nine nonfiction children’s books, including the The Lady and the Spider, which sold over a quarter-of-a-million copies and was a Reading Rainbow selection. 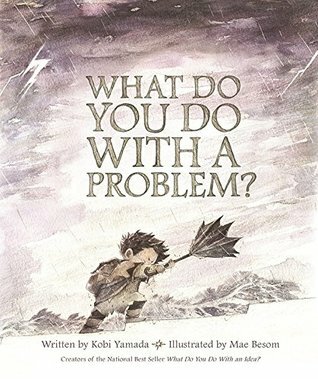 Bob has also been honored with an ALA Notable; an IRA Teachers’ Choice; a Smithsonian Magazine Notable Book for Children; and three John Burroughs selections. 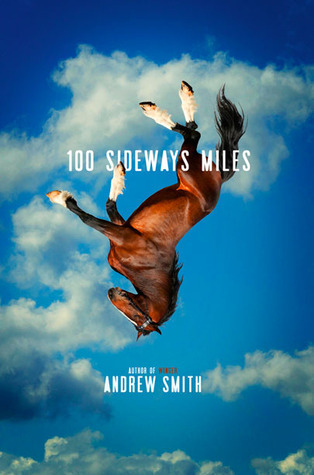 In addition, two of Bob’s books are included in the New York Times Parent’s Guide’s “1001 Best Books of the Twentieth Century.” Bob Lives in Easthamton, MA. Visit him online at bobmartsall.com. One (1) winner will receive a copy of On Bird Hill and a Window Bird Feeder ($28.99) to get up close and personal with the birds in your backyard! Great for blends, peanuts and safflower, this durable feeder attaches right to your window pane with suction cups, allowing you to see every bird detail. It's easy to fill and easy to clean. 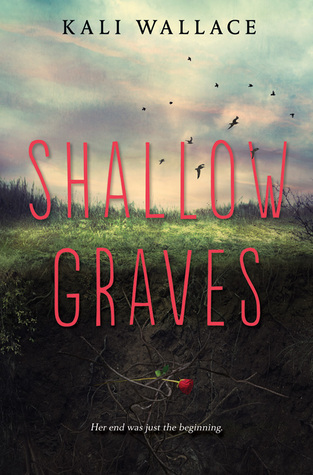 I am honored to be part of the blog tour for this wonderful book by John David Anderson. This is the story about three young sixth graders skip school and go on a madcap hero's journey to visit their teacher in the hospital who is going through cancer treatment. 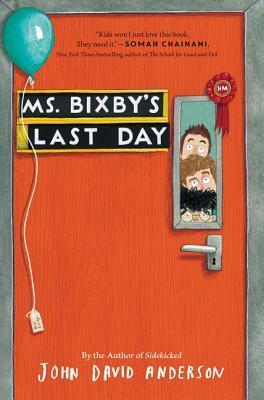 It is a heartfelt, but not overly sentimental or treacly story about the impact great teachers can have on our lives. Which of course, has led me to think about all the great teachers in my life. I wouldn't say that one particular teacher in my K-12 education stands out from all the others because there was such a sense of love and community at the school I attended (which is where I now currently teach) and as a result, I feel like all of my teachers helped shape who I am today. But the teachers who stand out the most to me, most likely due to recency and proximity, are my grad school professors. For my entire life I have always been a good student and motivated to do well in school. But truth be told, like so many kids, I took education for granted. I didn't understand just how important it was. Through middle school, high school, and my undergrad, I looked forward to the day when I didn't have to go to school anymore. But then I went to grad school and I started studying the things that I wanted to learn about, and suddenly a fire had been ignited inside me. I realized that education and learning mean so much more when we can choose our own destiny. And because of that, I think of how I can use my students' interests and passions to fuel their own learning desires. So I'd have to say that all my professors in the English department at Eastern Michigan University were my Ms. Bixby, but in particular, my adviser, Dr. Cathy Fleischer (pictured with me above) who not only helped guide me on my educational path, but in my career as well. 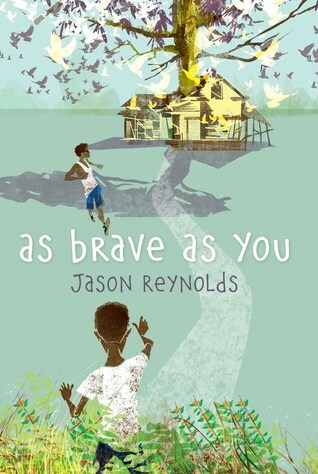 While I didn't connect with this book as much as Reynolds' YA novels, I'm also thrilled to see that the sweet, gentle stories that Reynolds is known for have made their way to the hearts and minds of middle grade readers. 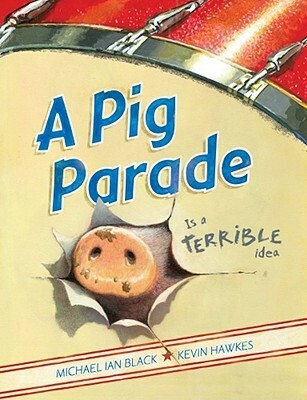 It's also one of those books that I have discovered is growing on me in fondness the more that time passes. 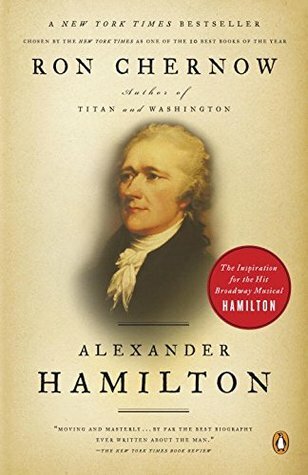 I really enjoyed the audio of this book. 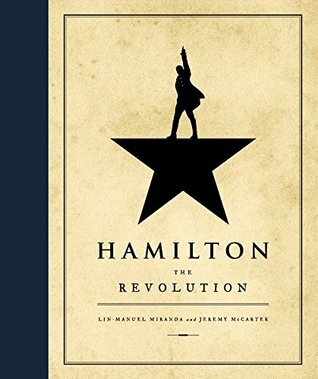 Thanks to the summer Audiobook Sync program for all the great free YA listening experiences. 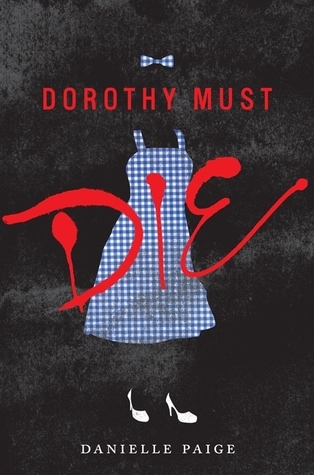 I definitely need to read the sequel now! Who knew being a killjoy could be so much fun? I love Michael Ian Black's dry, deadpan humor. It definitely makes his picture books stand out. Definitely a text I will be using for classroom community building in the future. 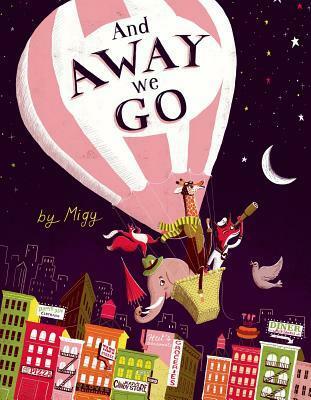 Equally stunning writing and illustrations. 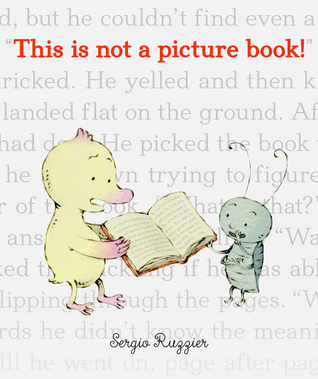 A lovely, simple story about the power of words. 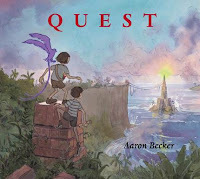 A book I will undoubtedly be using next year with my students. 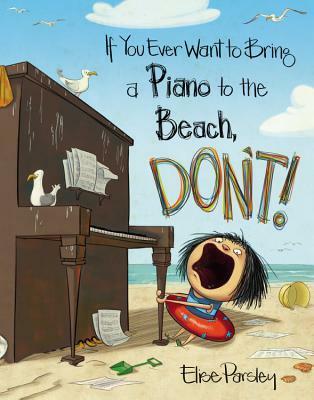 Don't bring a piano to the beach. You'll probably lose it. Absolute delightful absurdity. 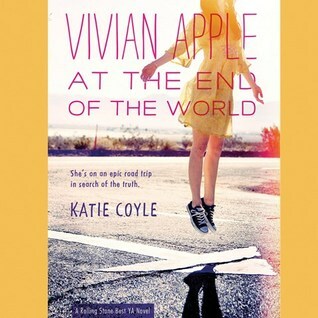 If you're in a bad mood, read this book. It's sure to put a smile on your face. 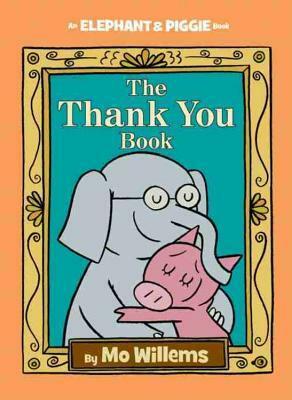 The perfect ending to the Elephant and Piggie series, though I'm sad there will be no more books. 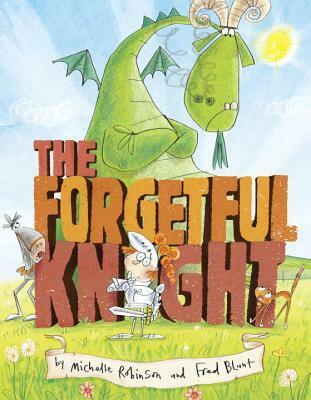 I'm looking forward to being one of the blog tour stops for this book next week. Another Audiobook Sync selection. I'm really enjoying this one so far.